Most peas come frozen, and I am convinced that they just end up tasting like the plastic bag that they’ve been living in. My friends and family on the other hand are convinced that I am ridiculous; but I can’t be the only one experiencing this? I notice it as well with some food when plastic containers. It all ends up tasting a bit weird in my opinion. Bleugh! So whaddayado when your tastebuds have plastic paranoia? Well quite simple, you avoid plastic tubs. Up until this point I’ve used metal tins to store my baking, but I’ve been recently introduced to a solution that’s one step better: both functional and pretty! 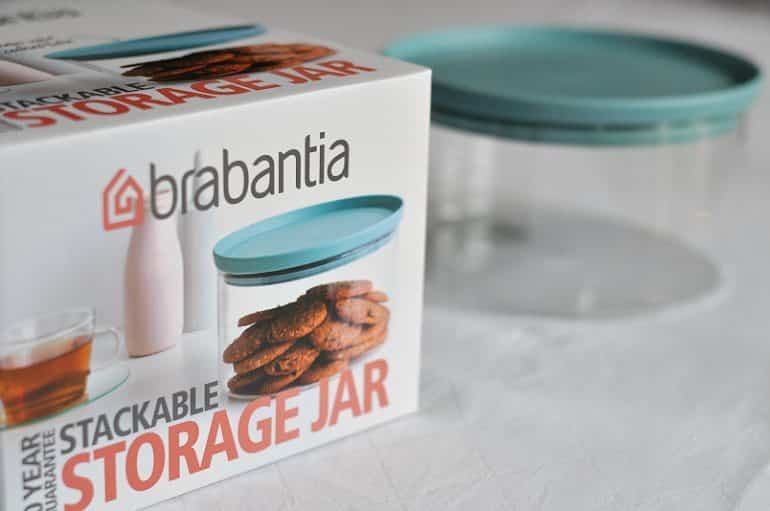 These glass storage jars by Brabantia come in lots of different shapes and sizes for whatever you fancy storing. They got in touch and sent me some that are perfect for baking. Despite being something rather simple I’m in love! They’re really contemporary and stackable too for extra tidy points. The lid on top makes an incredibly satisfying whoosh as you place it on and it seals. Just in time for storing away a new recipe I’ve been trying out for Welsh Cakes. These are just like my grandma used to make for me as a child, but with a festive twist. (I did call up Grandma to run the changes by her – she approved). 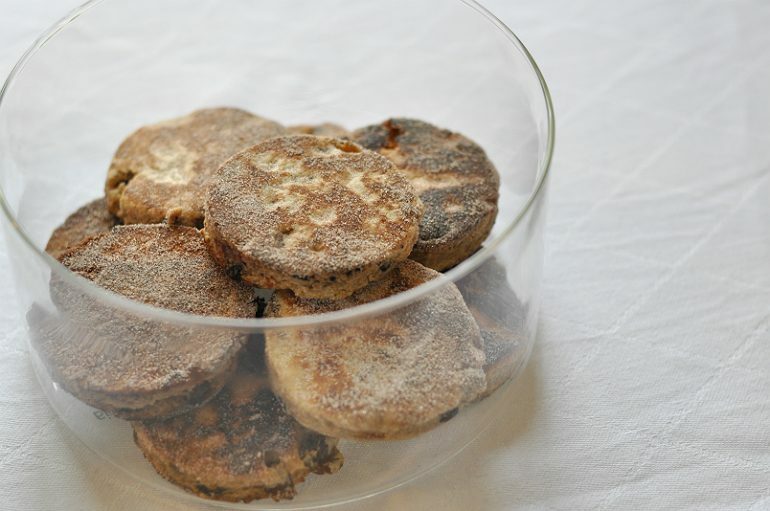 Despite being a cake, Welsh Cakes are actually fried, not baked! You’ll need a frying pan and a bit more butter for the cooking part. 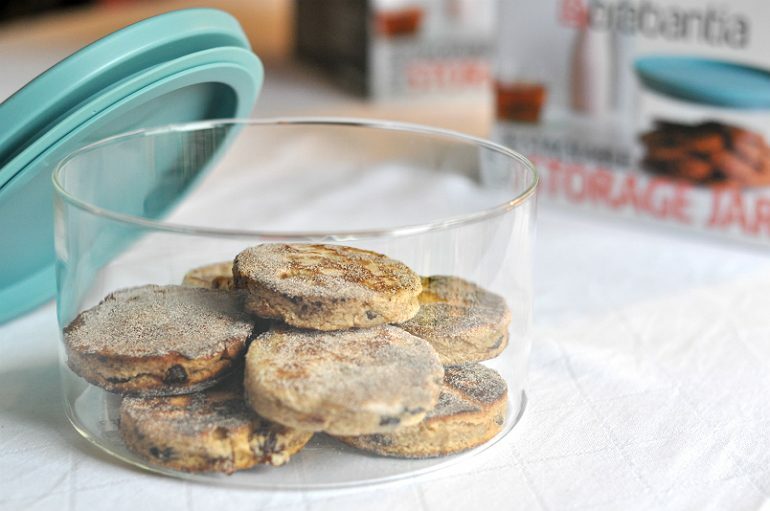 Start making your Welsh Cakes by adding to a bowl the flour, sugar, spices, baking powder, salt and butter. Rub together with your hands until you have a dry crumb texture. Next add the dried fruit and egg, and mix together. It will look pretty dry, so add some milk a tea spoon at a time until the dough comes together and resemble a shortcrust. On a floured surface, roll out the dough with a rolling pin to the thickness of about 7mm or a few pound coins. Cut out the Welsh Cakes with your cutter and fry in batches (2-3 at a time) in the frying pan with a little butter on a low heat. About 2-3 minutes per side. 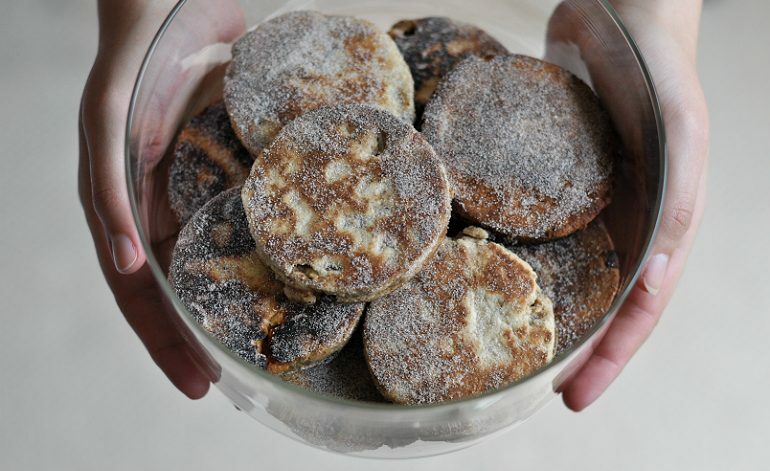 Once fried, finish by coating each side of the Welsh Cakes in a saucer of caster sugar and cinnamon. This recipe makes a small batch of 8-10: perfect for a homemade gift now that party season is coming. For me the best thing about these jars is that they perfectly present your lovely baking and you don’t have to bother with getting out a posh plate or similar, just whip ’em to your visitors/loved ones in the jar and it looks perfectly attractive. Welsh Cakes are really dense and comforting: sweet and cakey inside, with a lovely thin crust that’s made even better with a sprinkling of that sugar and cinnamon. Some people eat them like a tea cake with butter and jam, but I’ve always enjoyed them plain. These are looking pretty as a picture on my kitchen counter… and no plastic problems, hoorah! Well, that’s not my pea complex sorted, but at least my baking is safe!